I just don't know where the time is going at the moment. confused? 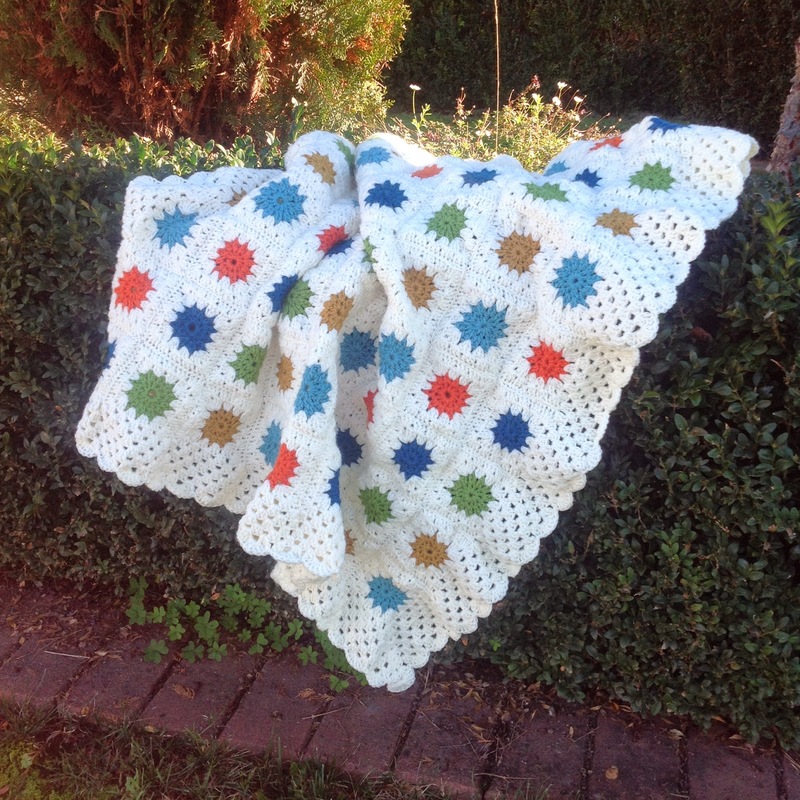 Did you see yesterday post about my Crochet Throw? Yes / No? Well guess what..... I finished it last night! I am so chuffed with this finish. I took my first (and only) crochet lesson 5 weeks ago to the day that I finished this. I've been playing these these pretties. Not your "traditional" Christmas colors but so fresh. 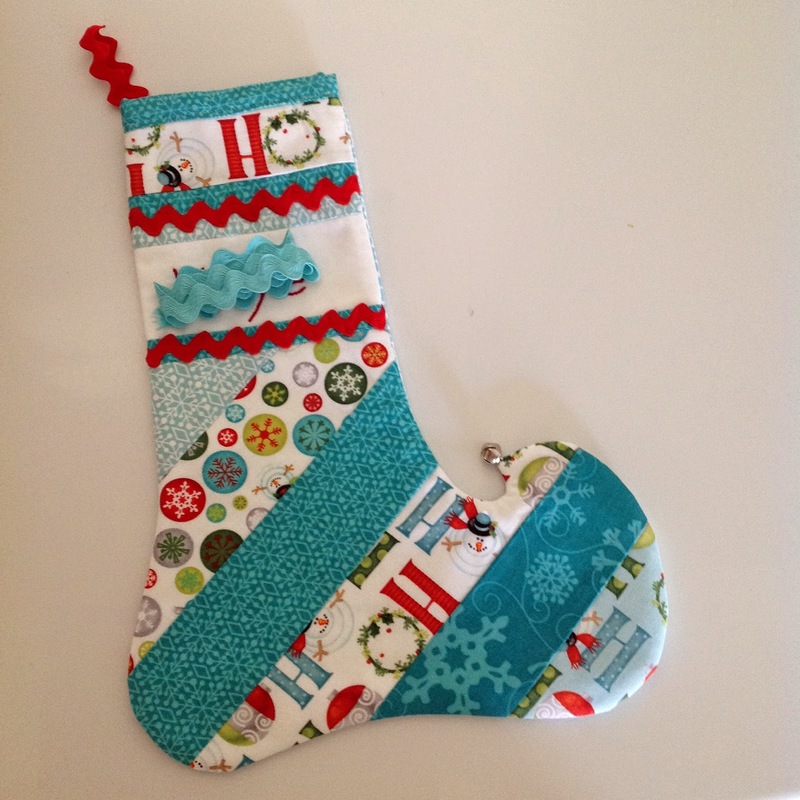 One stocking and just need to find the perfect hanger for this one. One more thing to make and this swap is ready to go. 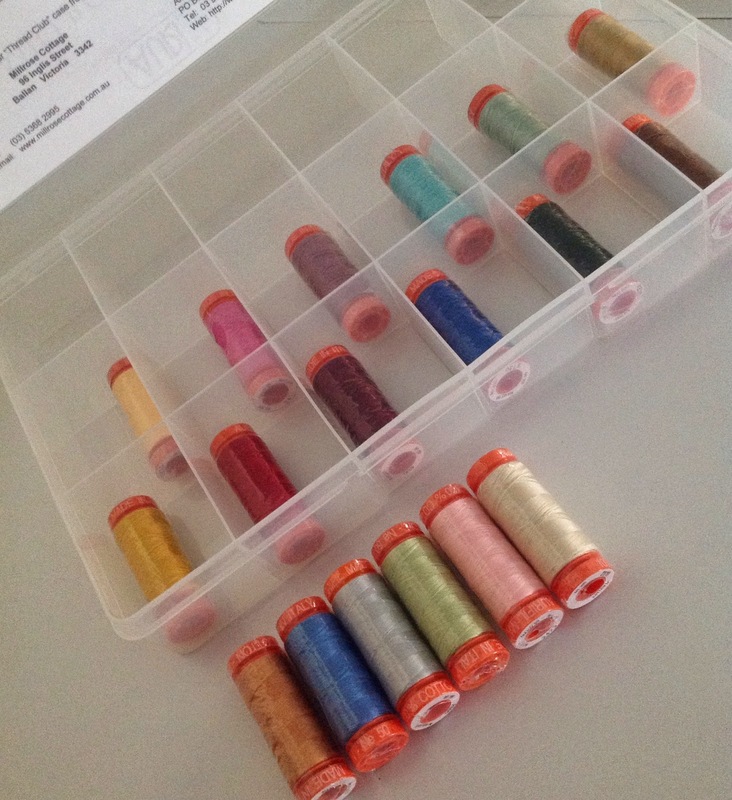 Have you joined the Aurifil bandwagon? 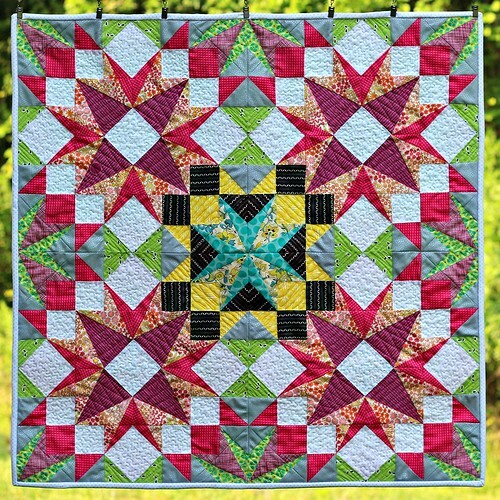 I am a little late to the party but have to say after some "tweeking" of my machine I am in love. from Millrose in Ballan with these beauties arriving this morning. Chookshed's 2nd Birthday Party is this weekend. Sign up here if you are. Your crocheted rug looks fantastic Sharon. Well done after only learning 5 weeks ago! Your crochet finish is amazing. That is a great finish, especially as you have only just had lessons. I am still having them and am far from doing what you have. So I am extremely impressed! 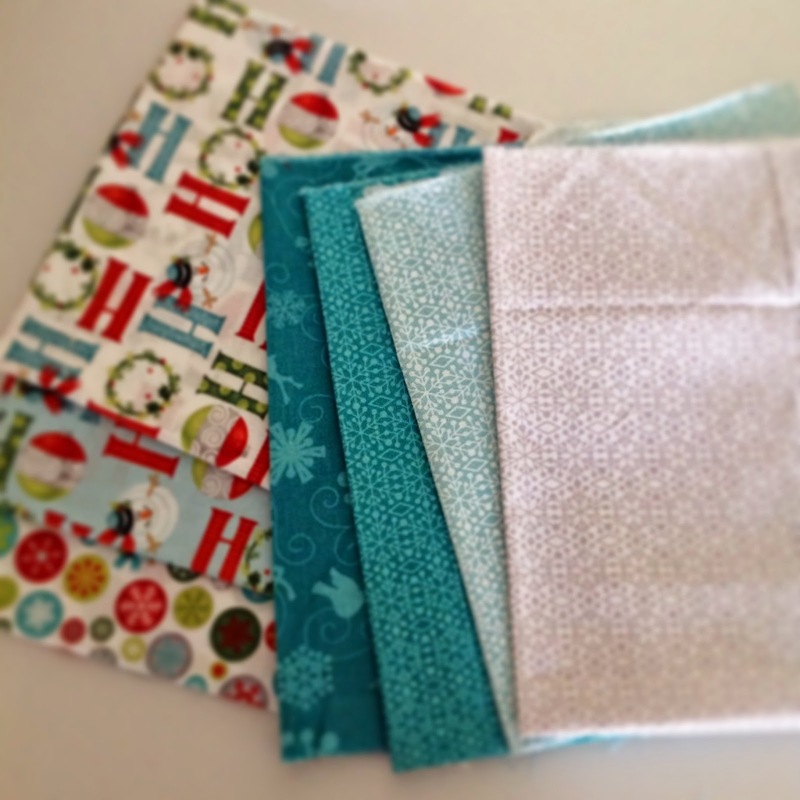 The Christmas fabric are great colours. Lovely projects. I haven't used Aurifil with my machine yet, but have used some for hand embroidery. So lovely to use. 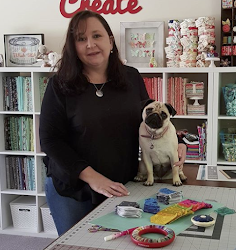 Have a lovely weekend of stitching. Hope your pattern arrived. You are amazing everything you do is fabulous. The rug us very pretty and looks cosy. Love your new crochet rug, maybe I should put in an order? I'll be stitching over the weekend too, in amongst everything else. Have fun. LOve it!! 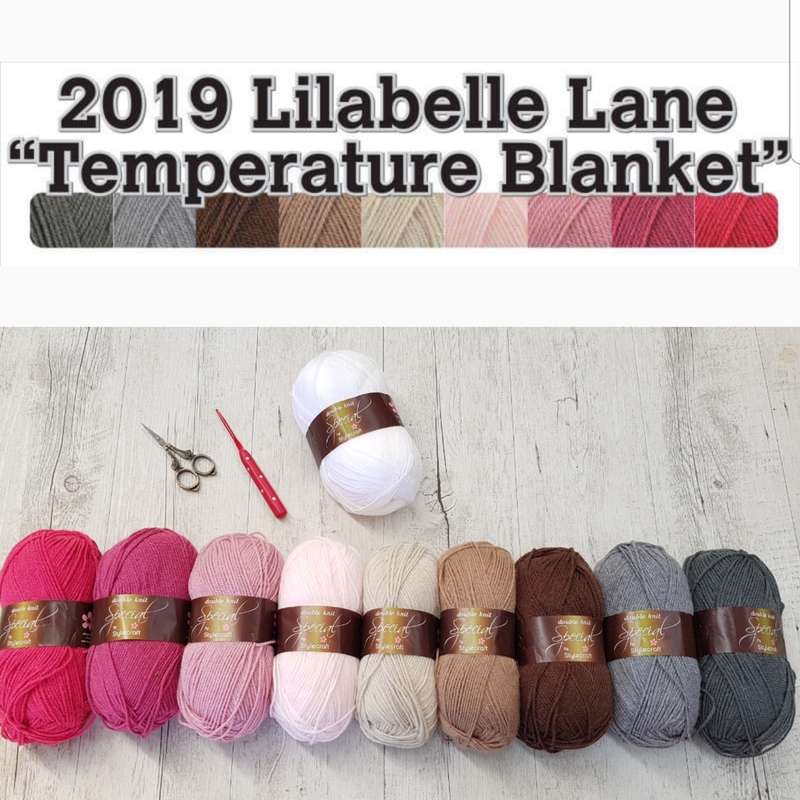 You've certainly gotten the crochet bug bad LOL but I can't speak as my wool supply is nearly as big as my fabric stash.....can't wait to see what you start on next :) Barb. Wow that was a catch up. Your crochet blanket is beautiful. Your Xmas colours are lovely. Your threads are a yummy rainbow & your future project looks fun. Your crochet throw is beautiful! 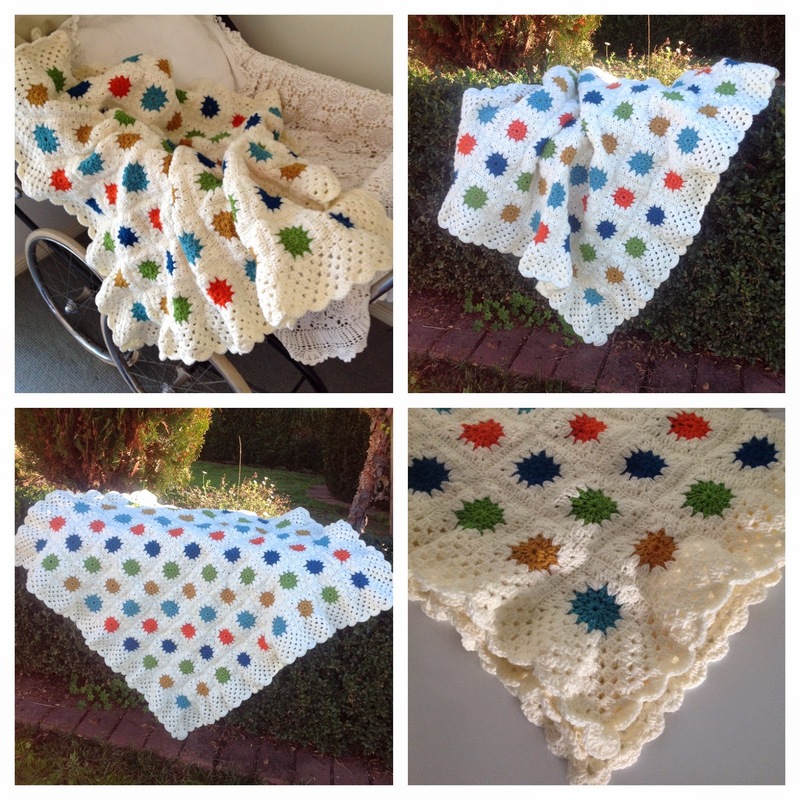 I love to crochet, but I can never attach the pieces as beautifully as you, so I tend to make simple baby blankets that are all one piece! 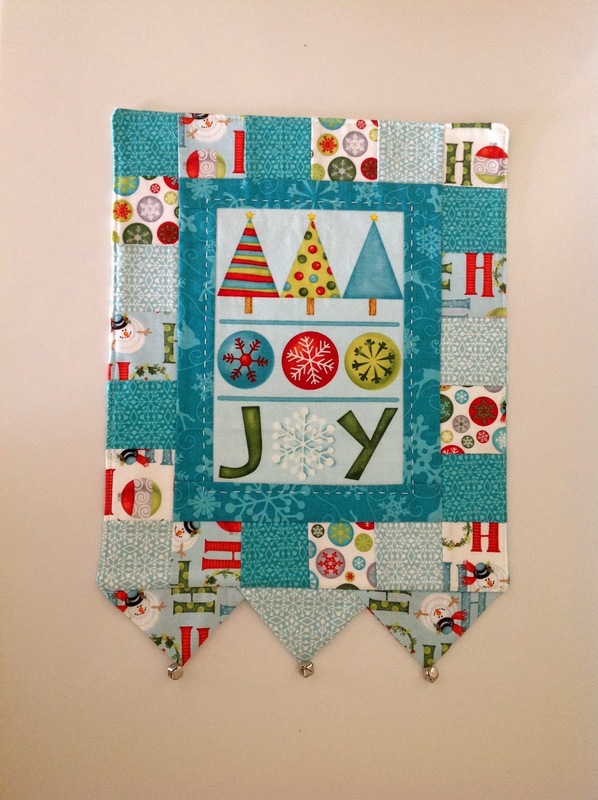 And I see a few of those little JOY wall hangings in my future. Your crochet blankie is gorgeous....see you at the party. Your crochet rug is stunning! One would not know you are a beginner. Clever you.